Panda Manda was listed on an e-mail as a Boston Terrier mix (along with a couple of other things that we later decided were not right). 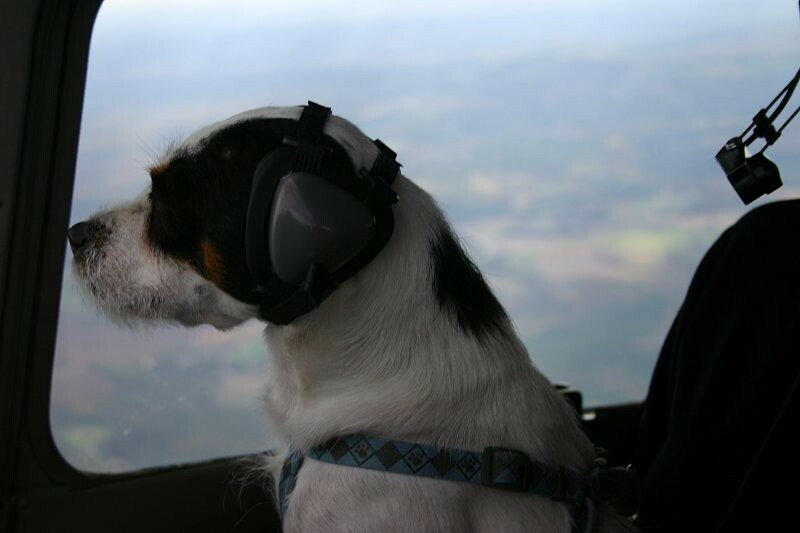 We drove to Elberton, GA, a small northeast GA town with a high-kill shelter. I named her Panda Manda when I saw her picture with the dark fur around her eyes and an otherwise white body with some spots. The only thing Boston Terrier-looking about her were her ears. She had two puppies with her. They were about 4-5 months old and were SO cute. There were also 3 other puppies from a boxer mix litter. We stuffed them all in the car and took all the pups over to Greenville, SC, to a rescue bud who had connections with other rescues that take puppies. At least, they were all safe now and not on death row and rescues provide foster homes and find them good homes. 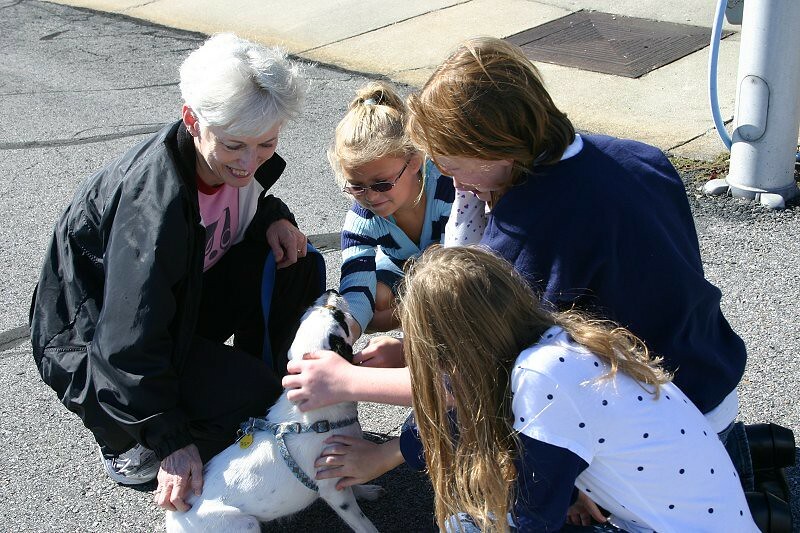 We brought Panda Manda back to the Augusta, GA, area and she was in one foster home for several months. The foster mom had to move from her house the end of April, so I had to find a place for her to go. A friend who had just lost his dog adopted Panda, but she wasn't happy there. She kept trying to run away. So my friend called and said he had to give her back. Then she went to live with Lisa, a new foster mom that I have been blessed to have found. Panda's been very happy at Lisa's and hopefully feels more secure now and ready to move on to her forever home. Teresa found her online and submitted an application for her. After checking her out and having someone from another rescue in MD do a home visit with her, she was approved to adopt Panda Manda. So that's Panda's story and she's sticking with it! 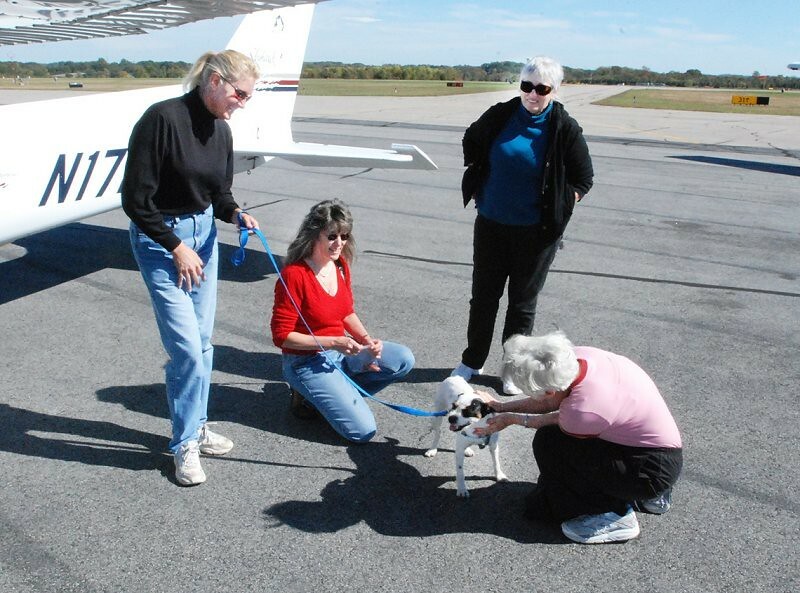 1st leg Pilot Marilyn, and Suzie holding Panda meet Team Mutt Muffs Michele at Danville, Virginia. 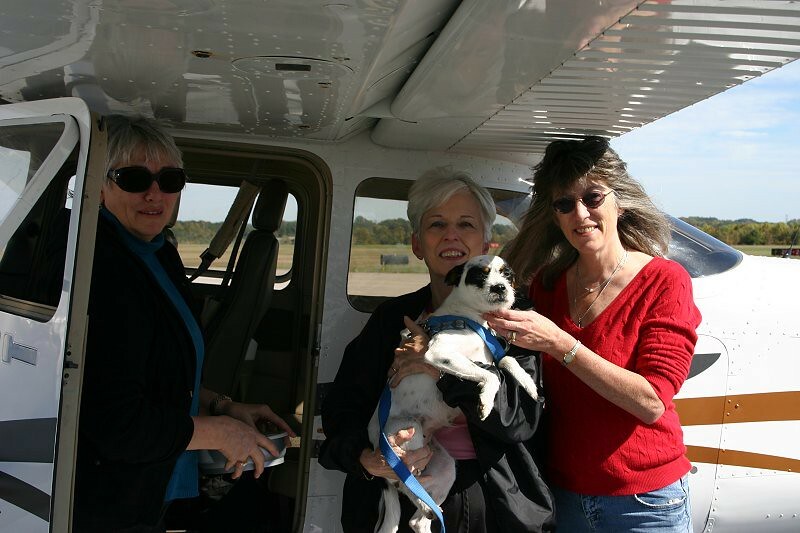 Marilyn flew Panda and Suzie from Augusta, GA.
Panda got all kinds of attention from a local family. 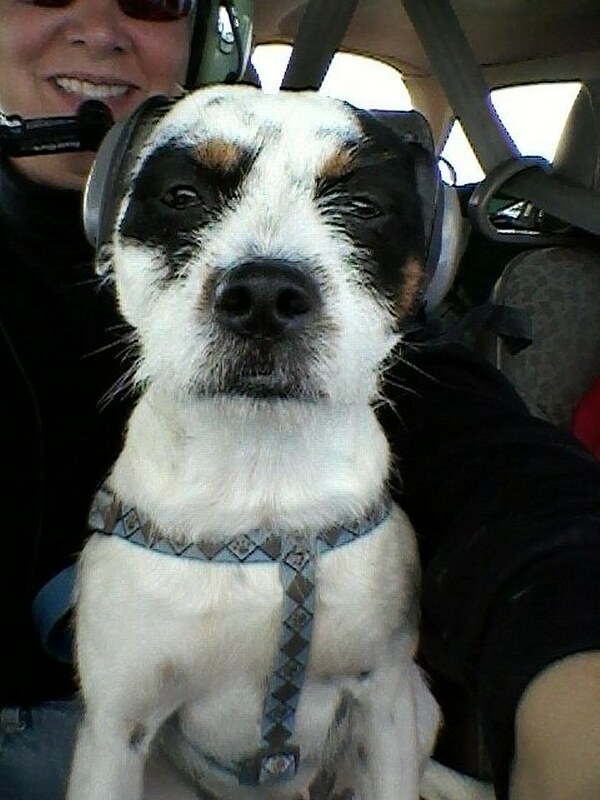 They were so taken with Panda and the rescue effort that Dad signed up to take flying lessons. Another recruit for the cause! This was our first "All-Girly" mission. This little girl was so good. 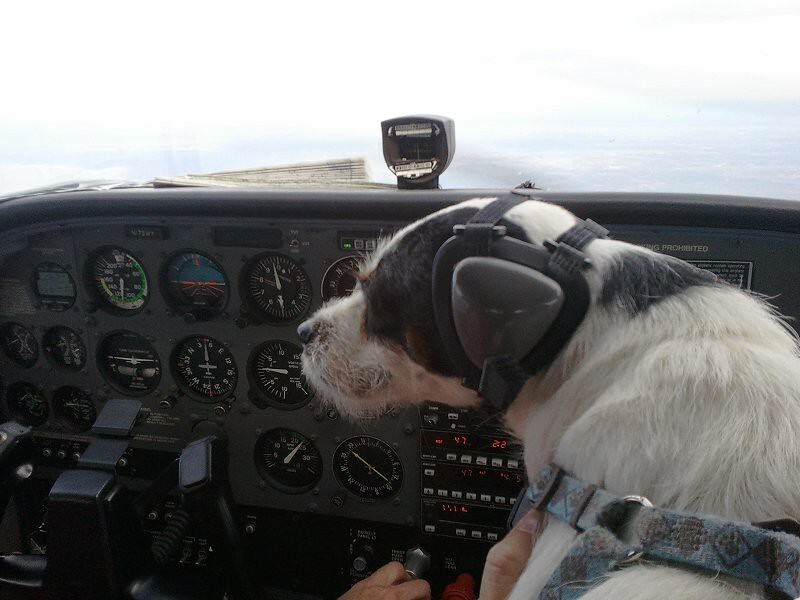 It's not very often that we have just one small dog, so it was a treat for us all that she could ride up front. 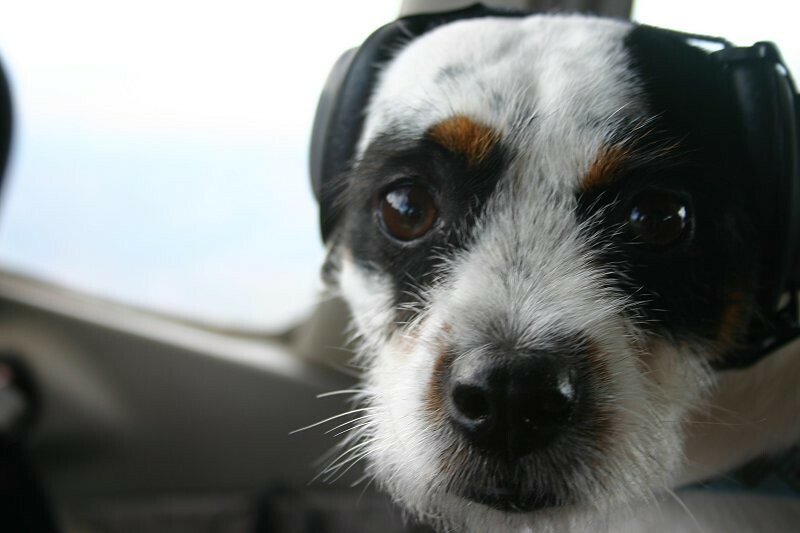 I can't think of a better reason to fuel up the plane than to save the life of an innocent animal. These eyes say it all. Translation - Thank you so much to all the people who saved me. I love you. I am so proud I could bust!!! 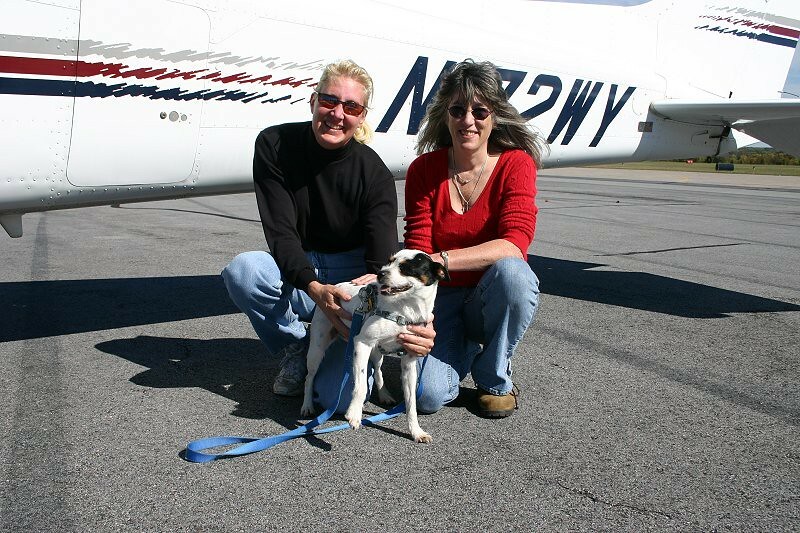 Marilyn & Michelle- thank you so much for flying this wonderful creature to her new forever family. All the heartache of letting her go is worth seeing these pictures. I love her dearly and always will. I am thankful to be a part of such a caring, kind group of volunteers (heroes)! Bless you all. I just wanted to thank everyone again for making it possible for me to adopt a sweet little girl like Panda from a foster home in Georgia! You all are truly a wonderful group of volunteers (angels)! God Bless you all! Panda is doing well--she ate a big dinner last night. She was a little shy yesterday when she arrived home (totally normal in a new environment), but after a few minutes she started following me from room to room and sat with me on the couch and cuddled. She is a very loving little girl. The pictures of her travel are absolutely adorable! I love the ear muffs! Lisa, I will keep you posted on her progress.